Hi this is a real quick update as son as I came to know about it. Well just today on 27th off course, the famous torrent site KickAss Torrent’s web address http://www.kat.ph has not been working, possibly because the domain name expired. Its a matter of concern for extreme internet users, off course it is we all know. So here is the final update, try www.kickasstorrents.com and VOILA, it worked! 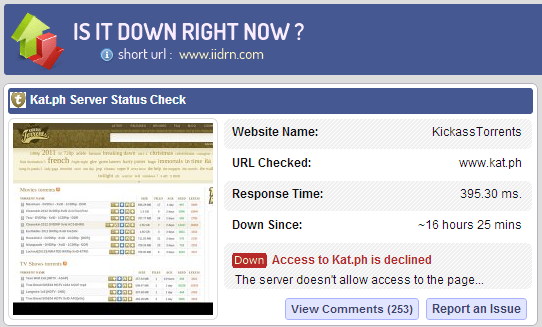 Ah, second most used torrent site just seemed to have been taken away. My heart too was beating fast as it repeatedly gave an error since morning! 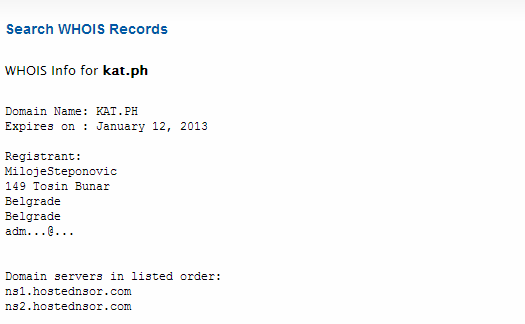 1 Comment Posted in Geek, General Tagged kat.ph, kat.ph not working, kickass torrent down?